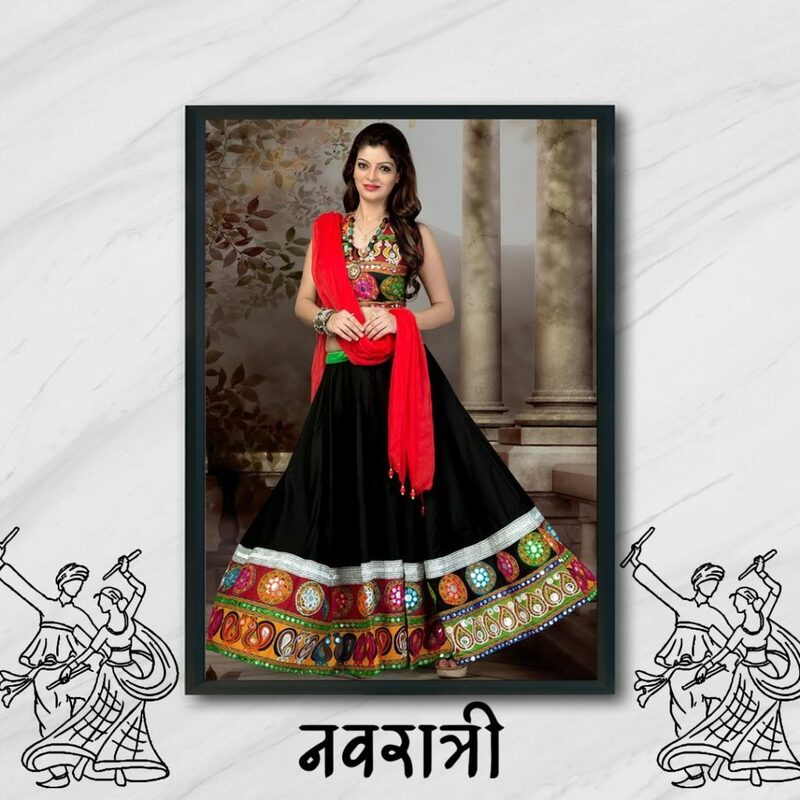 Navratri Special Chaniya Choli Online. Hindu festivals represent these principles and they remind one of these Life’s Truths. Meaning of Navratri is “Nine Nights”, It’s a celebration of Durga Maa in her nine different avatars on the nine days. Navratri celebration is colorful and bright. People keep fast for 9 days and enjoy fully with enthusiasm. In some states like Gujarat, people organize Garbha nights. The sounds of dhol and dandiya sticks can be heard over the whole Gujarat state during this nine days and nights. Devotees worship Maa Shakti. At evening time, a garbi, a pot with diyas symbolizing as a source of life, used for the aarti after which dandiya and garba are performed both by women and men. if you wear a chaniya choli, you would definitely look beautiful. Chaniya cholis can be worn by women of any age groups and they would definitely look the best irrespective of their age and color. 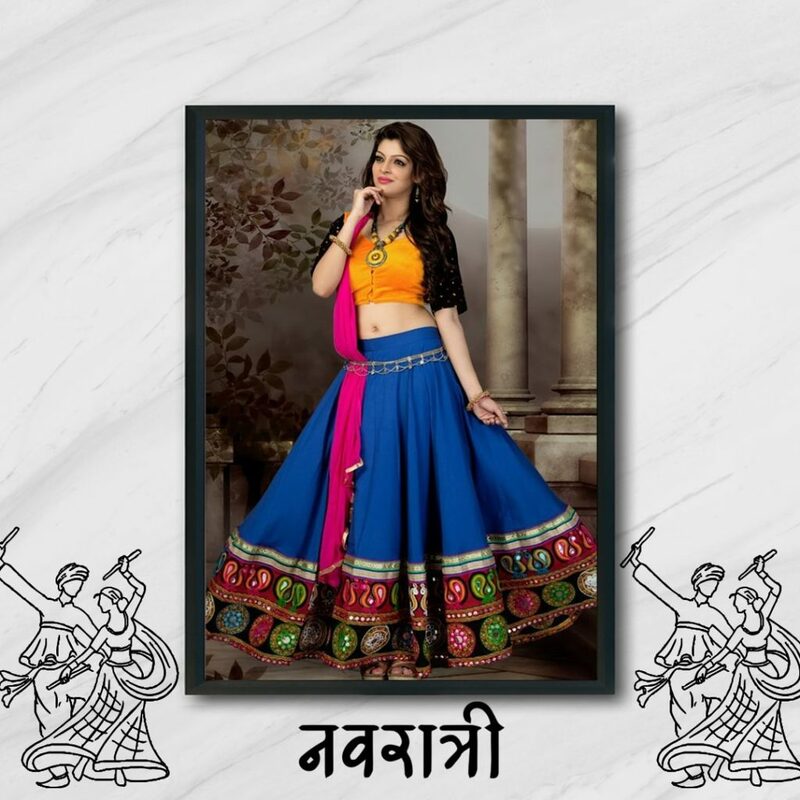 Depending on your interest and comfort you can either go for a backless choli or the one which comes with stones and beads embedded over it and number of mirrors as well. 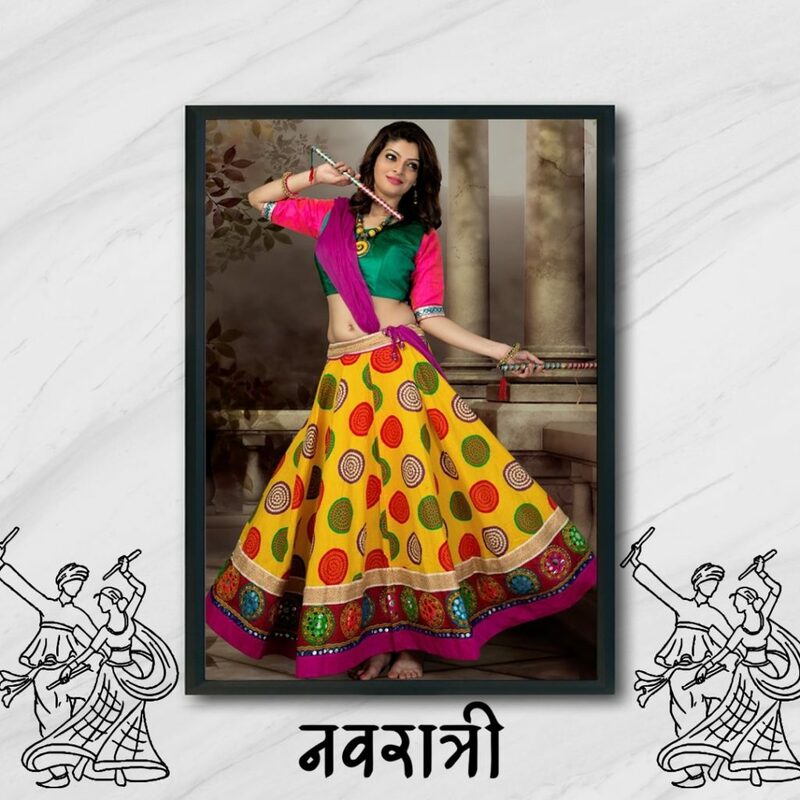 From children to elders anyone can wear these Navratri Special Lehenga Chaniya Choli and they can be sure that they would be looking the best where ever they go. 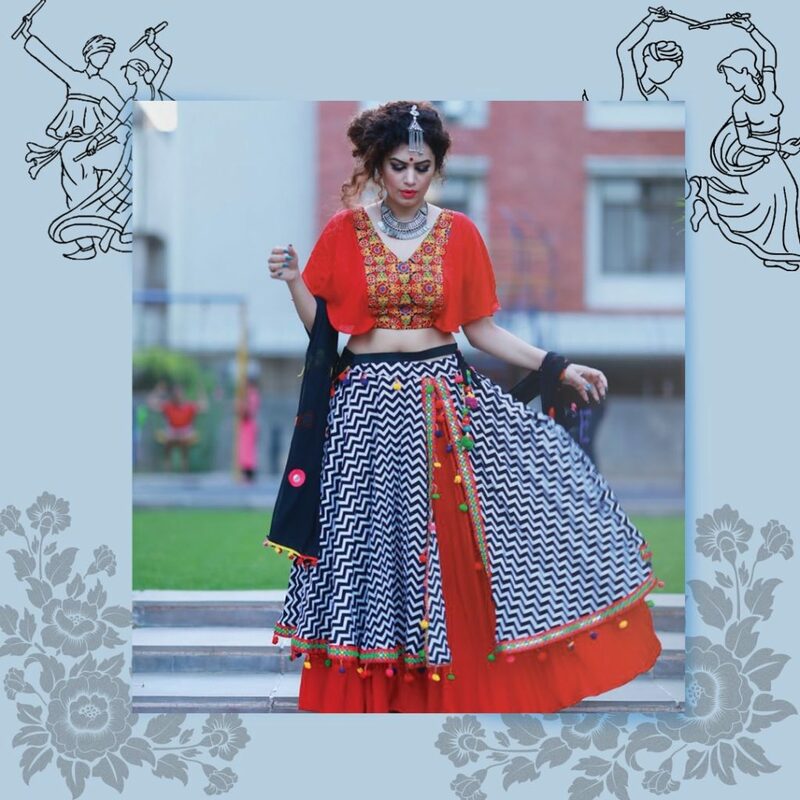 Different designs can be made in your choli and according to your comfort, you can go for the zip locking choli or the hooked one. Wearing a skirt is very easy as you just need to wear it as you wear the regular ones. Checks print chaniya is a modern touch on this traditional attire. In this style, chaniya have checks print in it and the whole costume looks so classy and elegant. 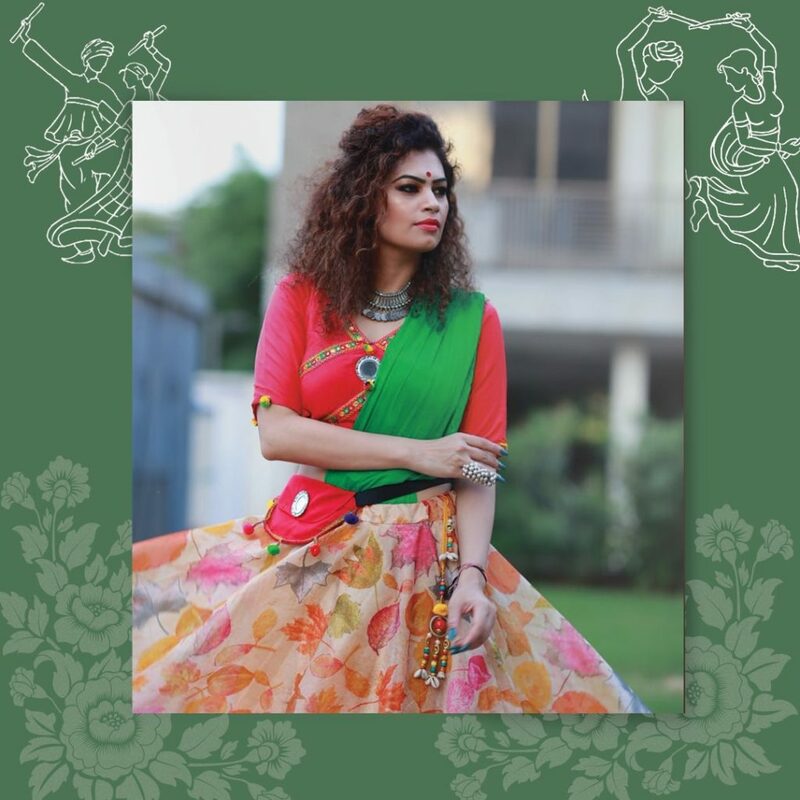 In this pattern, lehenga is having multiple colored printed in checks pattern. Showcase your love for vector checks in this gorgeous Navratri Special Chaniya Choli which can be teamed up with a red bell sleeve blouse. This layered dress can be your pick for showcasing boho-chic side and its in trend now. Introducing florals in dressing fabrics has become a common trend nowadays. 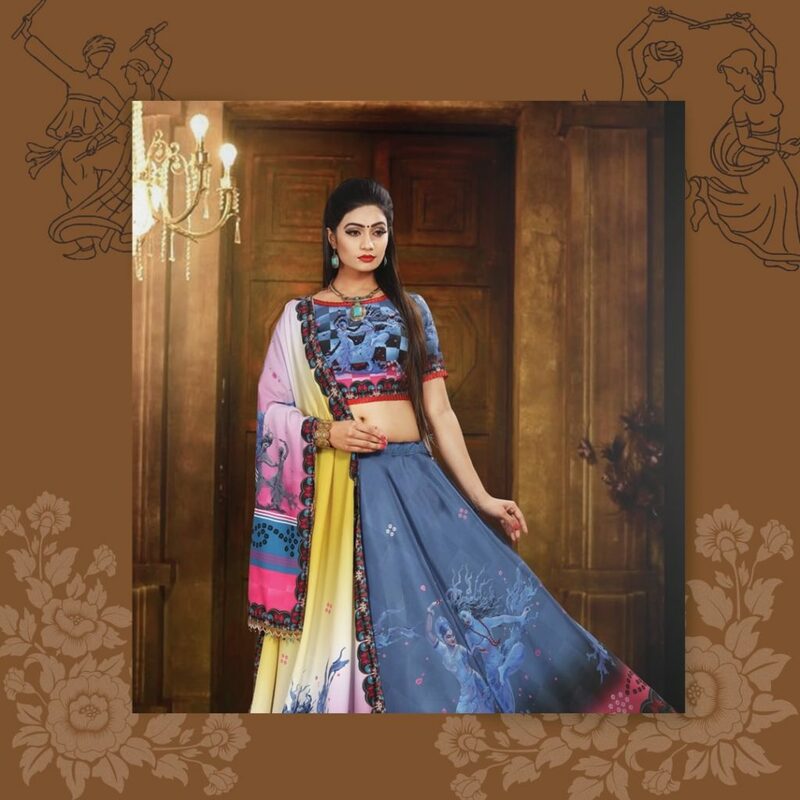 Pair full floral lehenga with a solid color blouse and you can steal the show. These chaniya cholis are light in weight so you can dance freely. Yellow is the most auspicious and jolly color to wear. 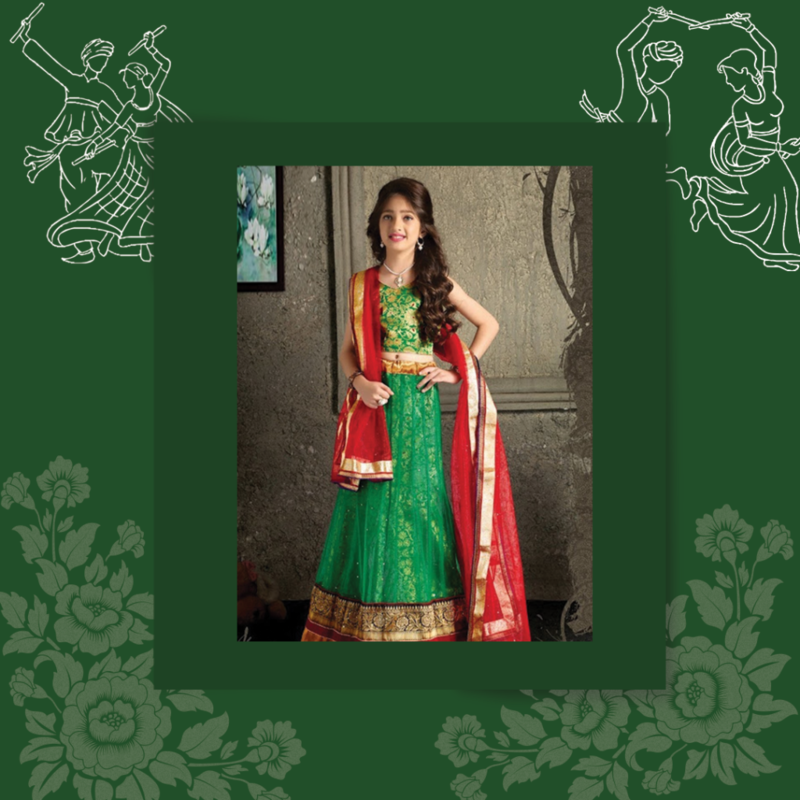 This Navratri Special Lehenga Chaniya Choli are famous and most used among teenage girls. 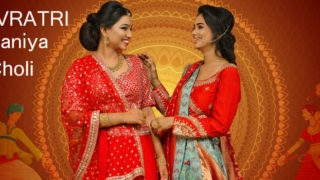 You don’t have to dress up full traditionally but still get the touch of authentic dress. Printed Chaniya cholis are new in fashion. This type of chaniya choli is easy to carry. 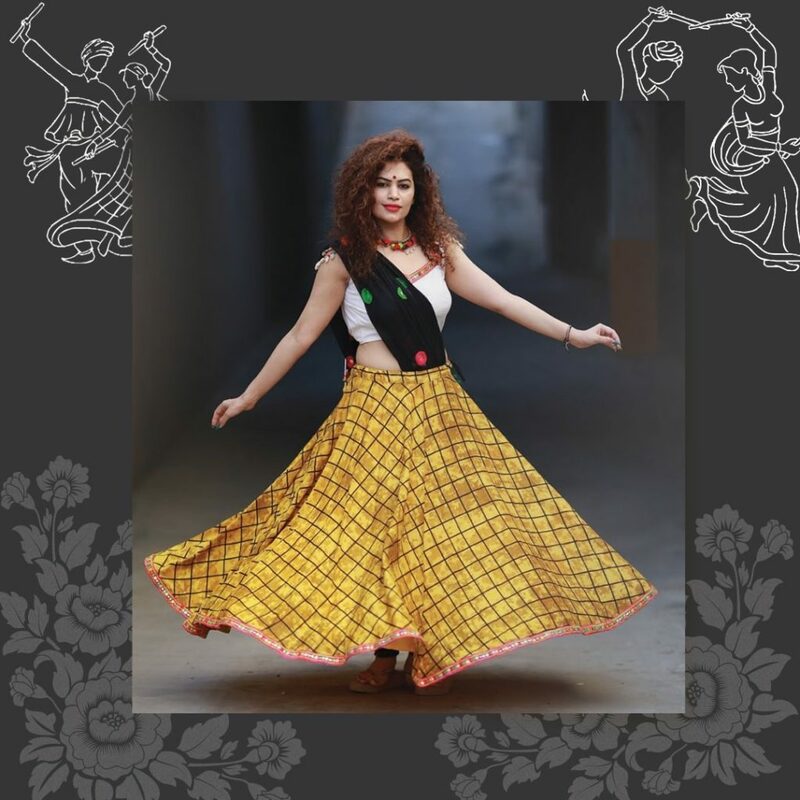 Printed chaniya cholis are lightweight so you can do garba easily in it. 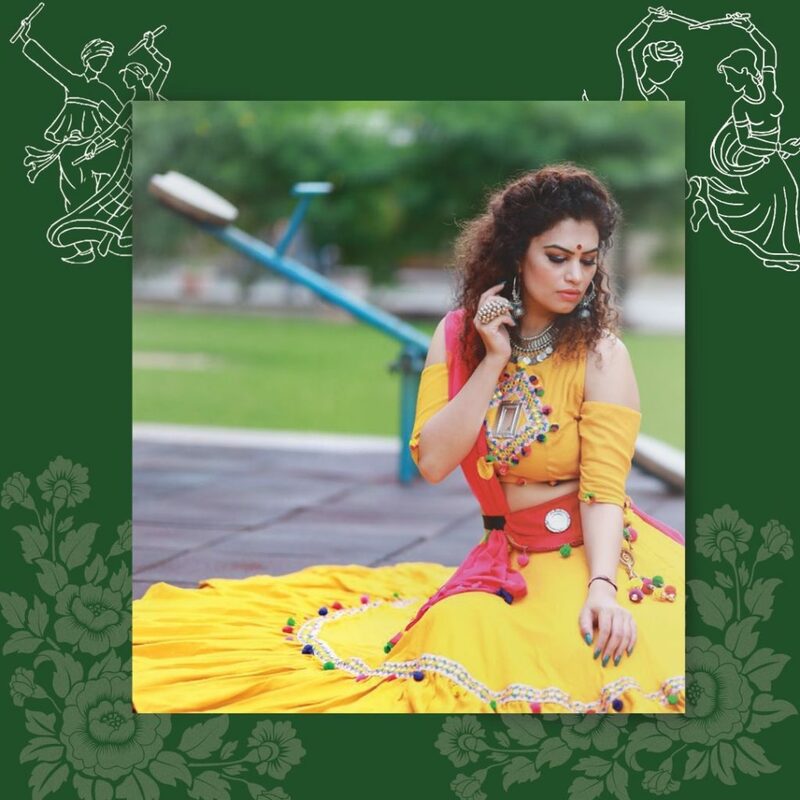 This type of chaniya choli have a traditional print in it such as dholak, dandiya player, peacock and some have floral prints too. Chaniyacholi is also favorite among little girls, they look so cute in this traditional attire. Many little girls play garba and like to dress in a traditional way. 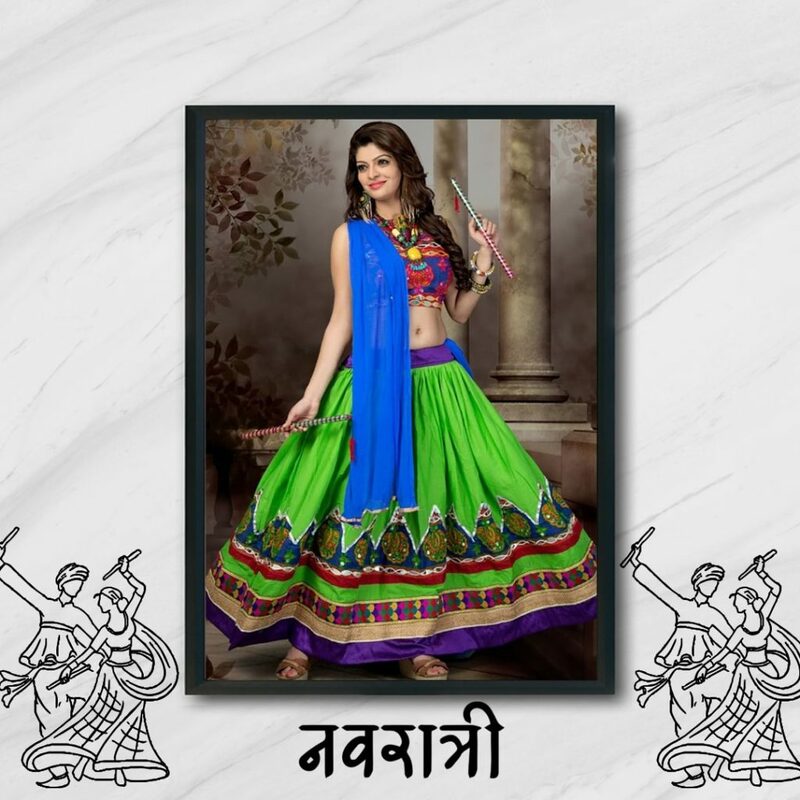 Their chaniya choli contains regular Ghaghra choli and dupatta just like the usual one but works on it was less heavy so that they can carry it easily.